People who launch vessels at any body of water are subject to watercraft inspections and are encouraged to clean, drain and dry their motorized and non-motorized boats, including personal watercraft, and any equipment that comes into contact with the water before and after recreating at a waterway. 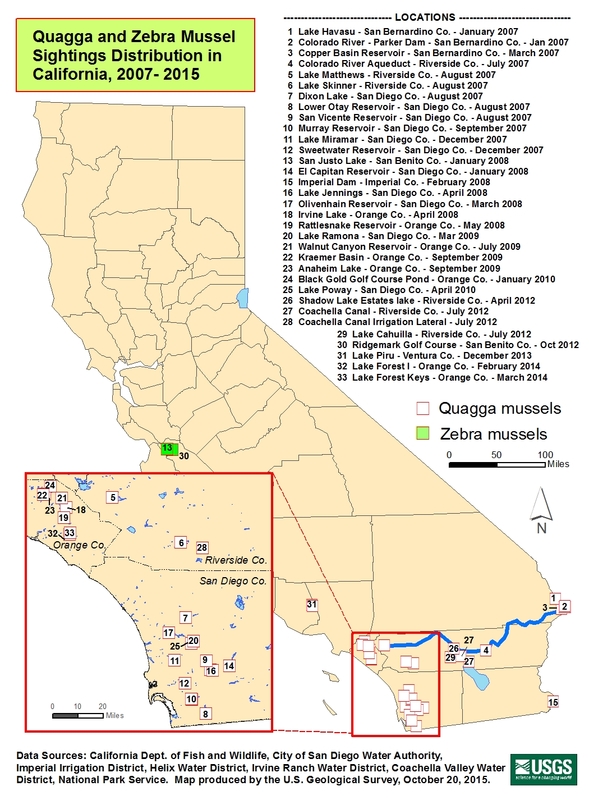 August 31, 2012 (San Diego's East County)--California agencies battling the spread of invasive quagga and zebra mussels are asking boaters to be especially vigilant over the three-day Labor Day weekend. In San Diego County, these mussels have been found in Lake Dixon and San Vicente reservoir.